Misdemeanors and Felonies – An Overview – We have all heard the terms misdemeanor and felony when referring to crimes but not much explanation is typically given about what those terms mean. In this blog we will attempt to provide a little clarification. Misdemeanors used to be described in general terms as crimes for which you could not spend more than one year in prison. In South Carolina criminal law, however, you can get three years for some misdemeanors. Note that in North Carolina, the maximum amount of jail time you may face for one misdemeanor conviction is 150 days. Today, the simplest way to explain the difference is that misdemeanors are far less serious than felonies. Both level of crimes come with serious consequences. In North Carolina, the statute of limitations for most misdemeanors is two years. If charges have not been initiated within two years of the commission of the crime, generally, this means that a misdemeanor with a two-year statute of limitations can no longer be charged because the time has expired. There is no statute of limitations for felonies in North Carolina. Crimes can be local, state, or federal. Though they are often assumed to always be serious, some federal crimes are in fact misdemeanors. In both North Carolina courts and Federal courts, sentencing guidelines are used to determine punishment for misdemeanors and felonies as follows: North Carolina misdemeanor sentencing guidelines, North Carolina felony sentencing guidelines, federal sentencing guidelines. Generally, both at the state (NC) and federal levels, a convicted felon cannot possess a firearm. Generally, a person convicted of a felony will temporarily lose his right to vote. Upon expiration of the sentence, including the conclusion of probation, the right to vote is restored. Both misdemeanors and felonies can have Immigration consequences and/or family law consequences. Even a misdemeanor charge can get a person deported, depending on the misdemeanor and depending on that person’s circumstances. Click here to learn about immigration consequences of criminal charges. An example of a charge that can have family law consequences is child abuse. While felonies are generally more serious and can have a greater impact, violent crimes or “crimes of moral turpitude”, regardless of whether or not they are felonies or are just misdemeanors, may have more severe collateral consequences, particularly in the immigration realm. This next section will focus on post-conviction treatment and how that treatment varies depending upon whether a conviction is a misdemeanor or a felony. We will focus this section on expunctions and prior conviction calculations. There is no statutory distinction between an expunction for a dismissed misdemeanor or a dismissed felony charge. Under a new law (December 2017), in NC, a person is entitled to unlimited dismissal-based expunctions. Click here to learn more. As far as conviction-based expunctions, a person may get one of these expunctions per life time. Nonviolent, low-level (Classes 1-3) misdemeanors are eligible for expunction five years after conviction or after the sentence has been completed, whichever is later. Certain non-violent, low-level felony convictions are eligible for expunction ten years after the completion of the sentence (or conviction). Expunctions require much more explanation than we can provide in a couple of sentences, so click here if you are interested in learning about expunction law in NC. 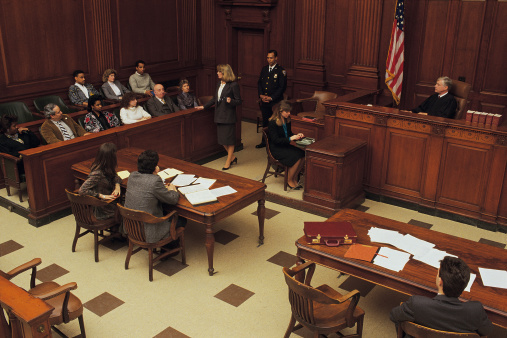 For misdemeanor sentencing purposes, every misdemeanor or felony conviction counts as a prior conviction. All felony convictions court toward one’s prior record level for misdemeanor sentencing purposes. For felony sentencing purposes, on the other hand, only Class A1 and Class 1 misdemeanor convictions are counted as prior convictions. Note, however, that multiple convictions within the same court session will only court as one prior conviction. If you have been charged with a misdemeanor or felony in North Carolina or South Carolina or have been charged with a federal misdemeanor or federal felony, contact us to speak with a criminal defense attorney.